When I was in college I printed all of the state standards and put them in binders. 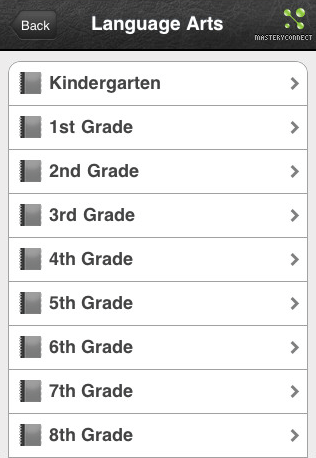 This was the best way I could access the standards when I aligned my curriculum. 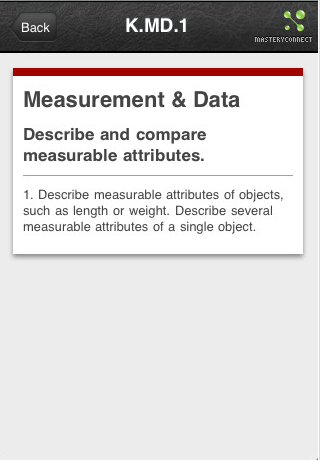 Today we have smartphones and iPads, so it is a lot easier to find what your looking for a lot faster. Especially with an app called Common Core Standards by Mastery Connect. If you are not familiar with Mastery Connect I encourage you to check out my blog post. 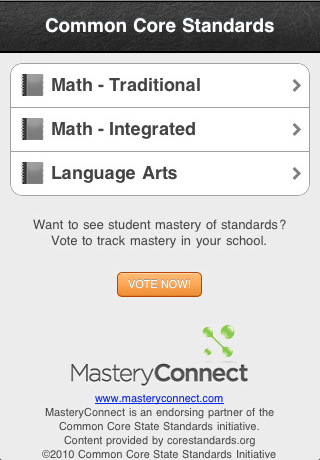 Mastery Connect has also put together an app that allows educators to access the Common Core standards quickly and easily. I suggest downloading this FREE app so the next time you need to look up a standard you won’t need to page through 187 pages in a binder. Download the app today in the iTunes App Store, Android Market, or Windows Store. 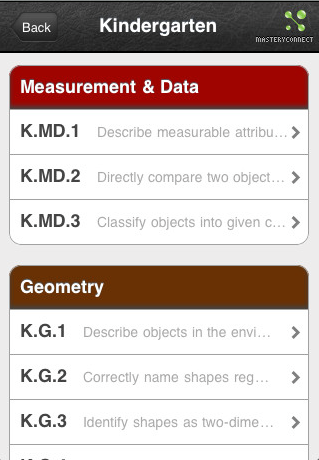 This app is extremely easy to search the standards you are looking for. Below, are some screenshots of how you would view a certain standard.